Sovereign risk has proven to be a double edged sword. 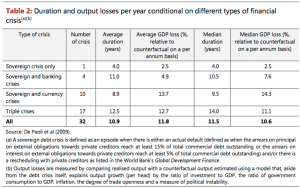 How much risk is there really, and should sovereign debt be included at face value in the Leverage Ratio? 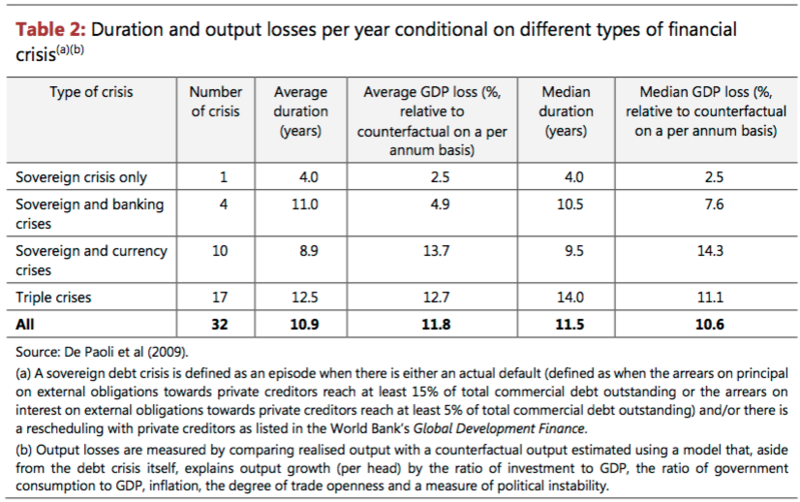 Or on the other hand, should sovereign debt really have such a low risk exposure in other capital metrics? Having dodged the issue in the latest Basel III revisions, the Basel Committee on Banking Supervision (BCBS) has issued a new working paper to figure this out. The BCBS paper, “The regulatory treatment of sovereign exposures ”, December 2017, is not a new set of rule proposals on how to deal with sovereign exposure. Rather, this paper includes what they might consider and a call for comments. Already their “Task Force on Sovereign Exposures” formed in January 2015 is thinking about what sort of policy changes might be appropriate. Banks use sovereign paper “for liquidity management, credit risk mitigation, asset pricing, financial intermediation and investment purposes” and central banks use it to effect monetary policy. Banks routinely use sovereign debt to manage their balance sheet, are dealers in sovereign debt, must hold as HQLA for regulatory purposes (LCR and NSFR), and speculate in the paper. We have seen when poorly managed sovereign risk has also amplified crises. The often repeated quote from Walter Wriston, CEO of Citibank, from 1967 to 1984, that sovereigns could not go bankrupt (and the central banks can just print currency) sounds quaint in the era of the Euro, ever rising debt/GDP ratios (100% for advanced economies seems to be the “new normal”) and commonplace issuance of sovereign debt in non-local currency. What to do about the treatment of sovereign exposures? It is hard for the BIS not to be supportive of sovereigns, but the blank check that banks have received when it comes to sovereign debt – it has been considered the top of the food chain, permitting “jurisdictions to apply a 0% risk weight for sovereign exposures denominated and funded in domestic currency, regardless of their inherent risk” – seems in retrospect like it might have been a bit too much rope. Every BIS Committee member country sets their sovereign risk at a 0% risk weighting. Interestingly, the paper also noted that the direction can go the other way: weak banks can impair sovereign credit and that “…banks can also act as shock absorbers in times of distress when they act as stable and willing investors in sovereign debt…” In sum, everything is interconnected. The second set of ideas will consider risk add-ons for “excessive holdings of sovereign exposures”. The third set of ideas deal with changes to Pillar 2 (supervisory review process) then Pillar 3 (disclosure). Chapter 5, “Potential ideas related to the regulatory treatment of sovereign exposures”, is the most important part of the paper, reviewing what sort of changes the Basel20 Committee is considering. It is worth a close reading. Crafting a solution to measuring sovereign risk in the banking book that doesn’t kill the patient will be challenging. We appreciate that the BCBS is tackling this issue; willful neglect will not help this problem go away.